An artisan pop-up concept store led by Artisan & Fox, bringing together extraordinary, ethical brands. The Oasis: Gifting Edition was open at 63 Hanbury Street, London E1 5JP from 1-21 Dec.
Like the mythical Oasis, the concept store is a sanctuary for craftsmanship of global origins. Artisan & Fox is bringing together a collective of high-impact artisan initiatives who share our values of ethics, transparency, and sustainability. Most of us have forgotten how to connect with our original makers. The Oasis is committed to sharing the stories of provenance — old and new — from traditional artisanal techniques trailing back centuries, to city artists creating contemporary art. We’re bringing you back to a time of mindful, human connection in buying the things we love. Our pop-up store encouraged gifting with an understanding of its provenance and origin stories. We recently closed on 21 Dec at 63 Hanbury Street, E1 5JP in London Spitalfields. 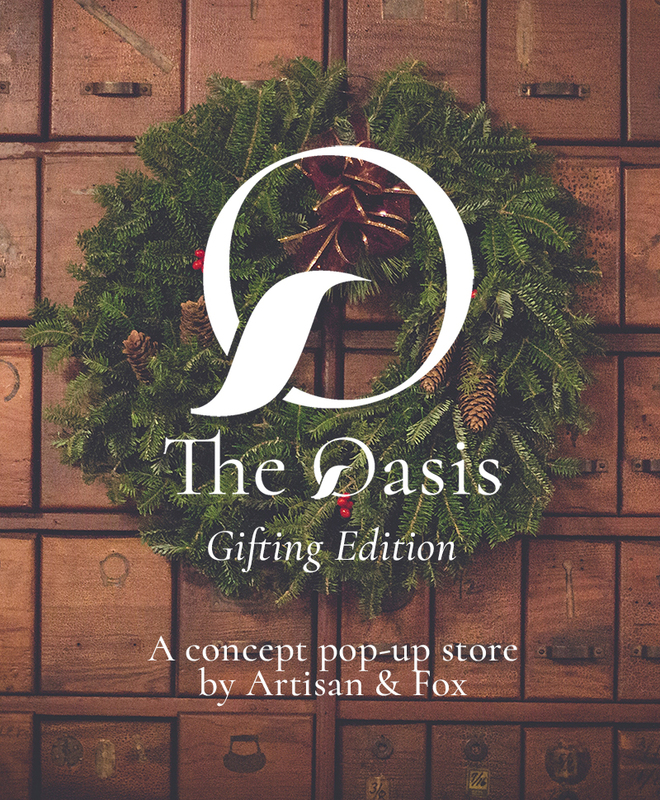 The Oasis: Gifting Edition was recently open at 63 Hanbury Street, E1 5JP. Keep a lookout for hands-on workshops, themed panels, cultural evenings and meet-the-maker events. Sign up for artisan stories, and receive updates and gift surprises. Thank you for joining The Oasis Collective.